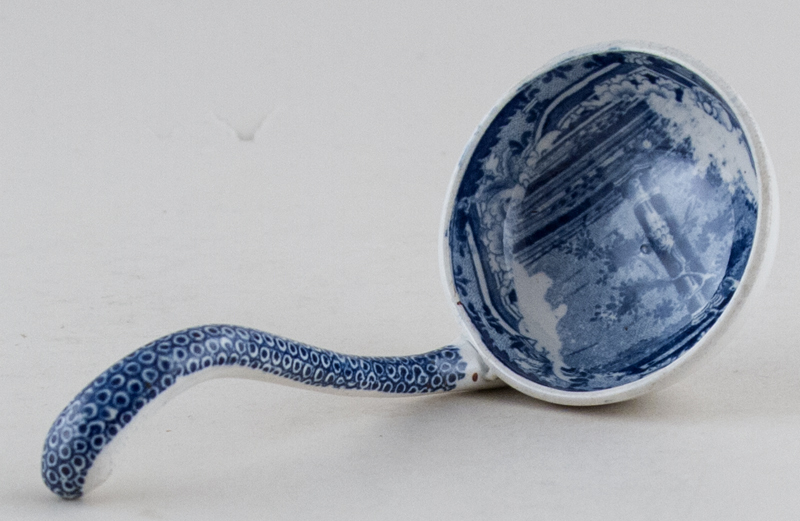 Delightful small ladle with pattern inside the bowl and along the stem. Backstamp: Ancient Rome. There is a little wear to the rim of the bowl and on the underside of the stem and bowl there is a little minor brown mottling and roughness to the glaze otherwise it is in excellent condition.